Learning some of the vocabulary of the Québec French lexicon is an essential piece of learning Canadian French. While the Canadian French lexicon of Québec is similar to that of France, there are some words that are different. In some cases, the words are important enough that the entire message is missed because one word in the sentence is unknown. Officially (according to l'Office de la langue française), the Québécois want their French to be as similar to the French spoken in France as possible. While the French spoken in Québec may sound like a different language, they are truly one and the same. Great care is taken to ensure that the two languages stay so closely related to one another that linguists classify them as the same language. 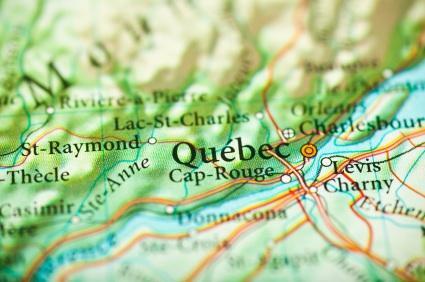 Native Words: Regional words were incorporated into Québec French; the name 'Québec' itself is an Indian word that means 'where the river widens'. Religion: Many words in Québec are based on religion, such as saying 'tabarnacle' or 'tabarnouche'. Historically, religion was a focus in Québec, even more so than in Catholic France. English: Here, the influence goes both ways. For some vocabulary items, Québec French is more influenced by English, such as calling a boyfriend your 'chum' (French: 'copain'). In other areas of vocabulary, French in France has more anglicismes, such as 'mail' for the word 'email' (in Canada, it's a 'courriel'), or wishing someone a good 'week-end' (in Québec it's 'la fin de semaine'). These words are just a beginning of the list of words that are different in Canadian French. Although there are many more words that vary in the two dialects of French, the words mentioned here are some of the most important ones for surviving daily life in Canada.